If you’re like most people, when you picture yourself on your wedding day your thoughts immediately turn towards your wedding dress, probably followed by your shoes, and then perhaps your veil or hairpiece. When prompted to go into more detail, you may think about your lingerie or jewellery: but very few people immediately think about their wedding makeup. This is odd, when you think about it, as your makeup is arguably the most important part of your overall wedding look. More attention is going to be given to your face than any other body part on your wedding – especially in photos – yet many brides don’t even think about how to handle their makeup choices until the last minute. It is often only when brides seek to have their wedding photos professionally edited that they realise that their face looks shiny or their makeup looks washed out under direct lighting. Whether you decide to let an expert take care of your wedding makeup or you opt to create perfection yourself, these seven tips will help you perfect your look. Highlighting and contouring have become makeup buzzwords over the past couple of years, with many people being put off the whole process because of how complicated the whole process can appear. There are many online tutorials showing how to use foundation, pressed powder, concealer, and highlighter to all but change the shape of your face; highlight your best features and transform your least favourite facial areas, yet many people are wary of trying the techniques themselves. 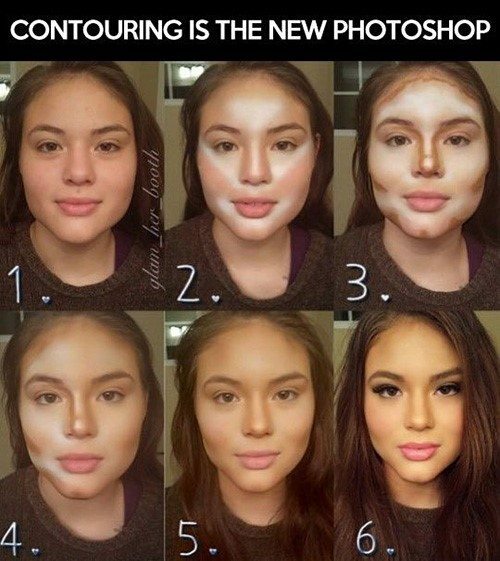 The trick with highlighting and contouring is to first work out your aims and then only concentrate on tutorials that specifically deal with the effects you wish to create. The Gurl website has more highlighting and contouring infographics then we could have possibly imagined, organised by face shape and body feature. Just because you’re planning your makeup for one of the most important days of your life doesn’t mean that you need to buy all new cosmetics. By now you’ve most likely found the perfect shade for your individual skin tone in the cosmetics brand that you prefer, and there is no need to try new brands just because it’s for your wedding. You may definitely like to experiment with new techniques, but when it comes to the basics such as your concealer, foundation and pressed powder, it’s best to stick with the brands and shades that you’re already comfortable with. If you’re planning on trying a new makeup style or playing around false eyelashes or contouring, start experimenting months before your wedding. You may be surprised to know just how many brides try false eyelashes for the first time on the morning of their wedding, and then wonder why it’s a disaster! New techniques take time to master, so give yourself every advantage by beginning your preparations months in advance. We’ve mentioned how important it is to begin experimenting with makeup months before your wedding, but it is even more important to have a complete trial run of your full makeup prior to your wedding. This is equally true whether you are opting to do your makeup yourself or whether you’re leaving it in the hands of a professional. 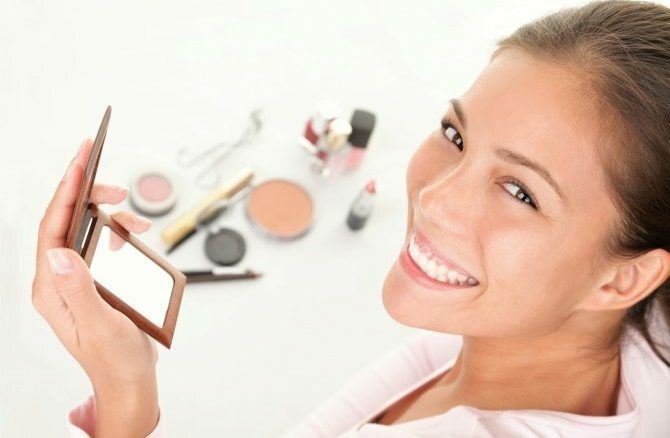 If you’re handling your own makeup, a complete trial run is essential so that you will know that you can confidently pull off every technique from start to finish, as well as giving you a good estimate of the amount of time it will take to complete your makeup on the big day. If you’ve opted to have your makeup professionally done, a trial run is equally as important as it’s the only way you know for sure that you and your makeup artist have the exact same idea about the look you’re trying to achieve. What might be a “natural glow” to you might equate to what you see as a smoky mess in the hands of a professional. You may think that you will be able to stay composed throughout your wedding, but chances are you going to shed some tears: or at least get a little misty eyed. In addition, you’re going to be hugging a lot of people and most likely getting quite sweaty in the process, which will only be made worse by all that dancing you’ll be doing once it’s party time. You’re going to want your makeup to look as good when the last guests leave at 2 a.m. as it did when you perfected your look early in the morning of your wedding, and the only way this is going to happen is if you opt for waterproof everything: from mascara to foundation, eyeshadow, primer, and even your pressed powder. There seems to be a common misconception that moisturiser will make your face appear shiny in photos, but that’s just not true. On the contrary, if you apply your makeup without moisturising, your dry skin will absorb the cosmetics and the makeup residue will settle into the fine lines and pores on your face, making them more obvious. If you’re worried about shininess, opt for an oil-free moisturiser. A good quality pressed powder will take care of any shiny issues, anyway. Every bride needs a few essential items with her throughout her wedding day, and a makeup touchup kit is one of them. If possible, find a miniature version of every makeup product you or your makeup artist used, and keep them handy throughout your wedding. 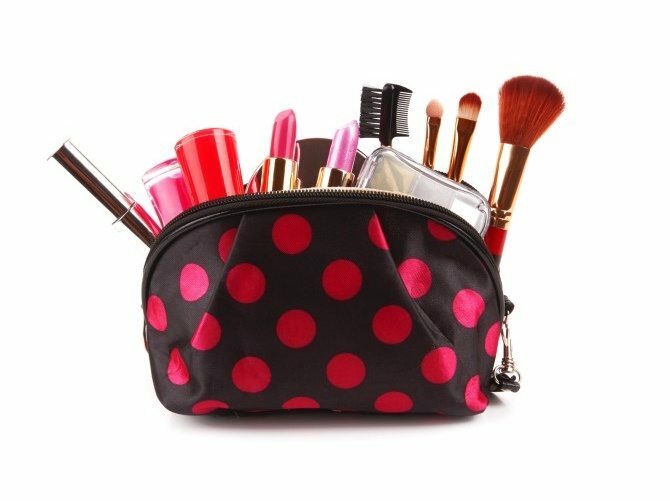 Ask one of your bridesmaids to keep an eye on the makeup kit, and whenever you head to the bathroom, take it with you. 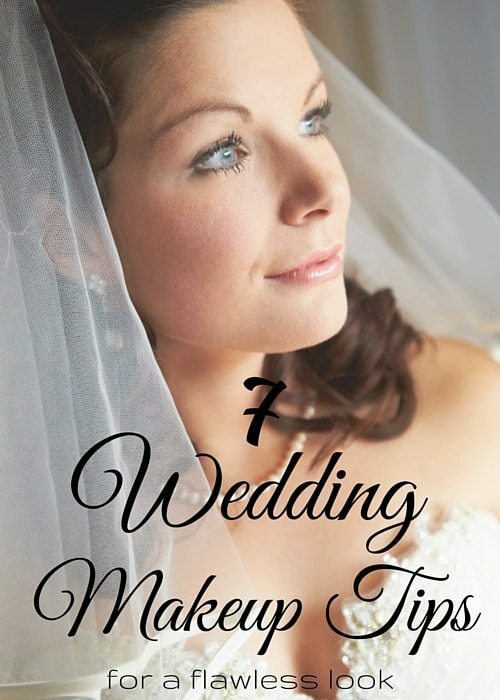 The idea is not to obsess over your makeup the whole day, but simply to have everything you need on hand for a quick touchup during the two or three times that you head to the bathroom during your wedding. 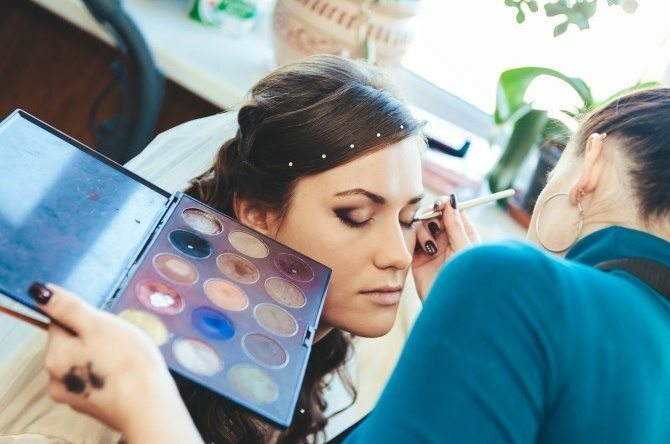 All good things must come to an end, and no matter how perfectly your makeup was applied before your wedding, you’ll need to remove it after everything is over (or you’ll risk waking up with panda eyes the next morning). The good news is that your stunning makeup look can be preserved forever by choosing your favourite close-up wedding photo and printing it to canvas, acrylic, or metal.